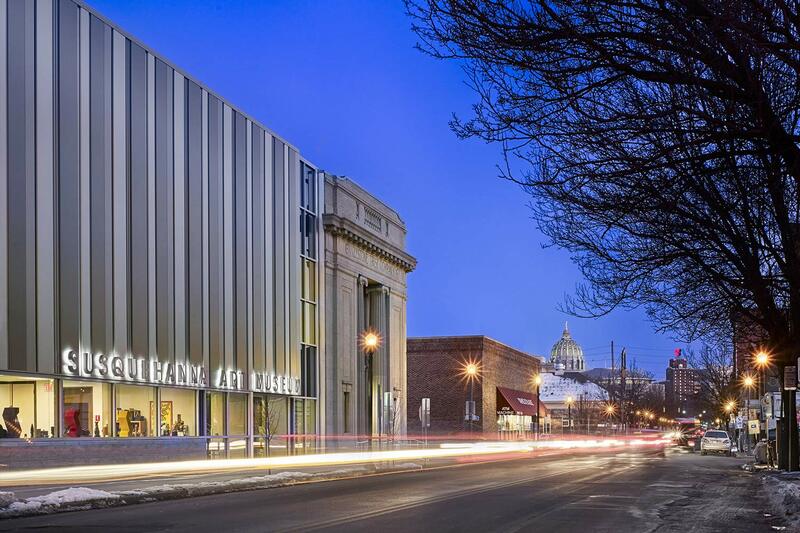 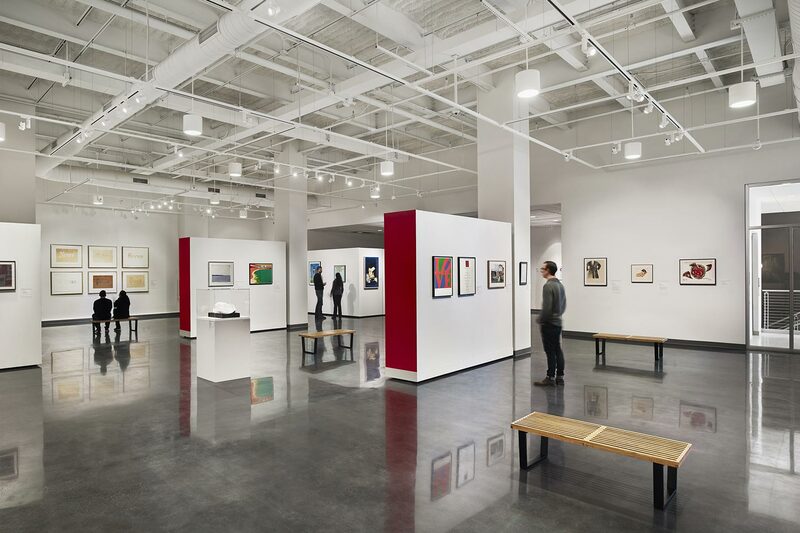 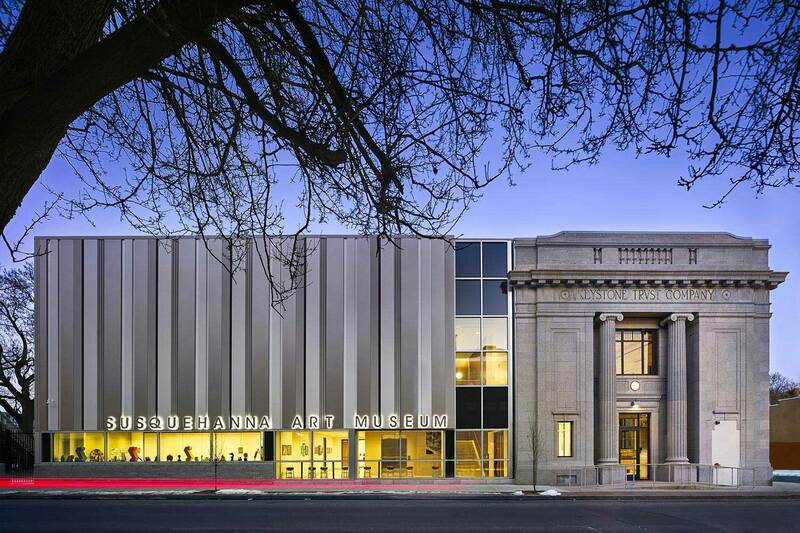 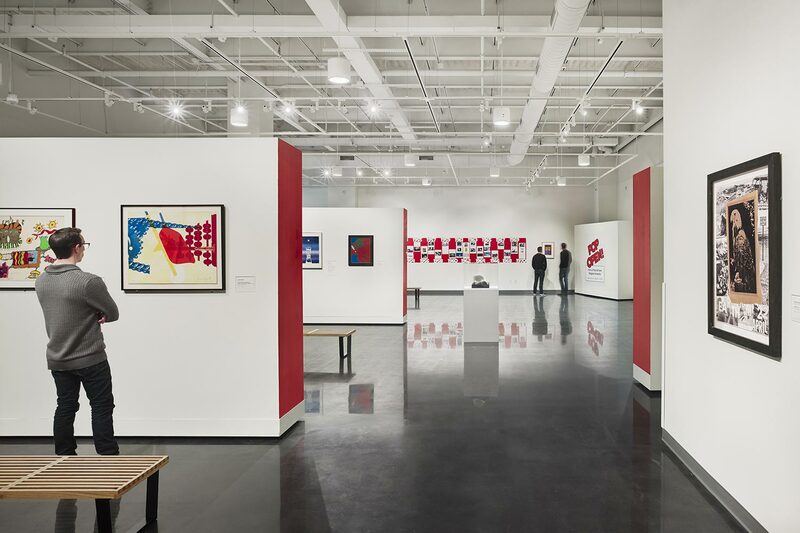 After 25 years of grassroots growth in a series of temporary and popup homes, including leased space in Harrisburg’s historic Kunkel Building and donated space from the State Museum of Pennsylvania, the Susquehanna Art Museum (SAM) finally decided to create a permanent home. 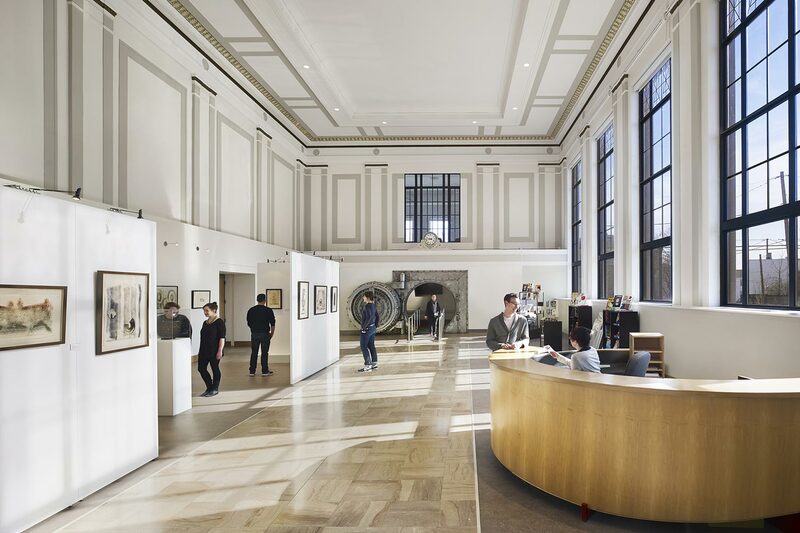 Part new construction, part renovation, SAM uses the circa-1924 Keystone Trust Company building as a starting point, and EwingCole carried its scale up the block with the design of a new, two-story addition, for a 20,000 sf building. 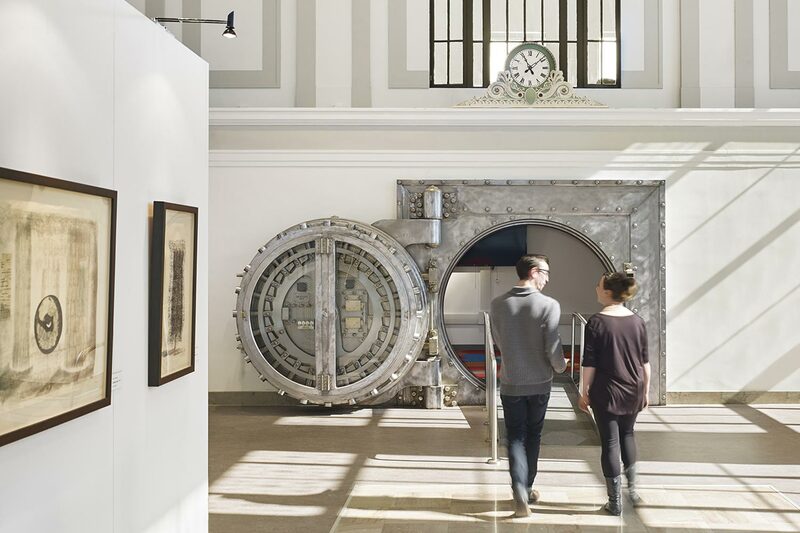 The transformation includes an entrance gallery with fully restored 27-foot gold leaf ceilings; the bank’s original vault has become a colorful space for kids of all ages; and a second-floor, main gallery which hosts feature exhibitions and doubles as the museum’s event space.